An Australian study, published in the Journal of Tobacco Control, found that almost a third of teens (31%) who tried smoking or who had previously smoked said plain packs made them less likely to smoke again. As each cell passes repeatedly through the device, its change in mass over a period of several minutes (called mass accumulation rate, or MAR) is also calculated. Without more staff to meet the demand, long waits for test results could become the norm, says the charity. NHS pathology services cannot keep up with growing number of biopsies and blood samples, Cancer Research UK report says. The MR Linac machine is the first technology to simultaneously generate magnetic resonance images and deliver X-rays — allowing radiotherapy to be adjusted in real time and delivered more accurately and effectively than ever before. By slowing down the rate that cells lining the blood vessels could burn sugar, the scientists could 'cool down' their overheated engines to create more healthy and structured blood vessels, according to the study published in the scientific journal Cancer Cell. Durvalumab, which won breakthrough therapy designation from the FDA to treat urothelial bladder cancer in February, has suffered several trial setbacks, and a few weeks back AZ said it was scrapping plans to get an early FDA nod for the drug as a second-line HNSCC option. Resuming enrollment, though, isn’t just a matter of hanging an ‘open’ sign out in front of the clinic. There's a downside to pushing adherence that may be holding some pharma companies back. That’s the perception of drug “pushing,” with some critics suggesting that adherence programs are being used as marketing tools to get patients to fill and refill prescriptions. For Trump and his advisers, including Newt Gingrich, the agency has for too long acted as a barrier to medical innovation. 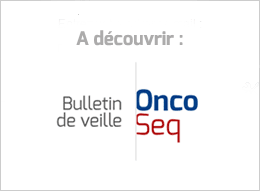 This milestone marks the sixth EU approval for Opdivo in four distinct cancer types in less than two years. Fewer people will be treated with a given drug, compared to standard therapies, but everyone is better off – the treated have better outcomes, and everyone else can move on to another therapy that works for them. In a world where prices are increasingly based on value, this means that drug prices are likely to rise, but overall spending on pharmaceuticals may not change, or could actually fall. Updated Findings with Longer Follow-Up in Classical Hodgkin Lymphoma to be Featured in Oral Presentations. Presentations will focus on a wide range of disease areas including multiple myeloma, lymphoma, leukemia, myelodysplastic syndromes and beta-thalassemia. Cancer genomics and therapeutics expert returns to academia after decade in industry. While most eyes were on the national stage, the California Initiative to Advance Precision Medicine (CIAPM) announced six “demonstration” projects last week, each to receive $1.2 million, bringing the total to eight funded projects so far. The moonshot has faced plenty of skeptics, but Trump’s election cast the first real doubts about whether it would continue at all. Too often in health research, straightforward prevention programmes, and the social science needed to implement them correctly, are pushed aside in favour of the basic research that fills this journal.